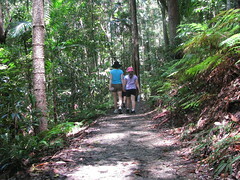 “This is paradise” I gushed to Liz as we walked through this spectacular national park today. 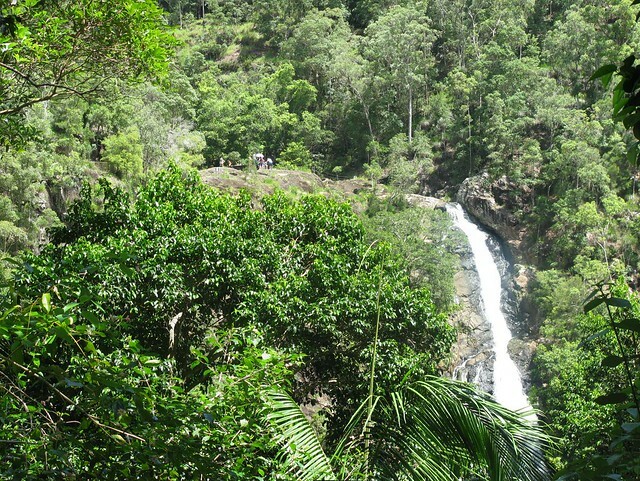 “Kondalilla” means “Rushing Water” in the Gubbi Gubbi / Kabbi Kabbi Aboriginal Language – a reference to the amazing 80m waterfall that pours out of the rainforest down to the rocks below. 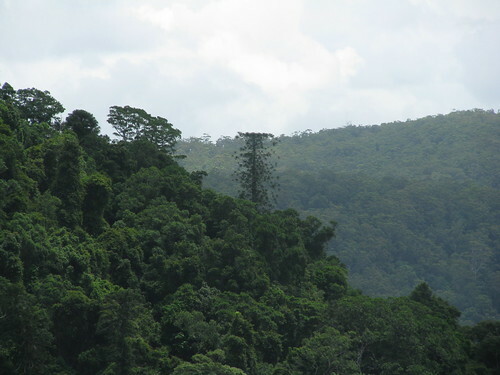 What’s also special about this rainforest are the amazing Bunya Pines (Araucaria Bidwillii) which tower above the forest on ridges and hill tops all over the place. Some of them looked to be at least 70 metres high. This is the homeland of the Bunya Pine – a majestic tree so important to the Aboriginal people who have inhabited this part of the world for thousands of years. It’s mountainous terrain – not for the faint-hearted. 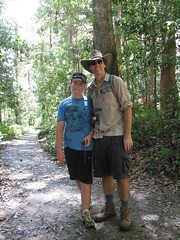 We climbed 300 metres during our 6km walk. But it was well worth the effort. As an added bonus, a friendly Lace Monitor swaggered up to me and gulped down a chicken bone while I was filiming him. 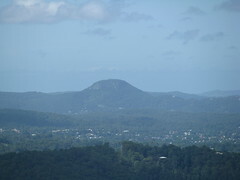 The icing on the cake was the stunning views from the lookout at Montville. 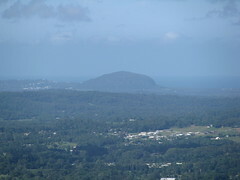 We were able to see all of the Sunshine Coast, including Mount Coolum and Mount Ninderry. Yes, this is paradise, and we’re so lucky to be living in it. Wow those photos are amazing.